The new owners will truly have a one-of-a-kind Tudor with the addition of our custom-made fence. 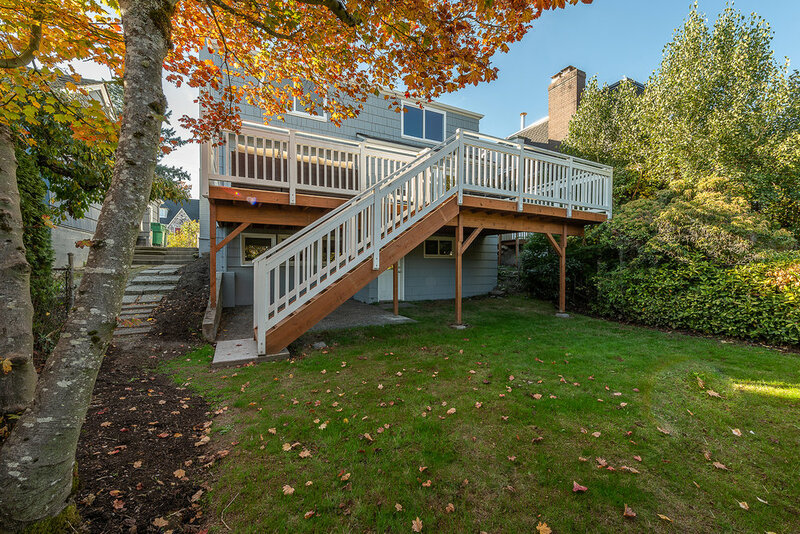 I am thrilled to report that we have finally sold our sweet, remodeled project in Laurelhurst. We reconfigured the house and brought it up to date with lots of new spaces and style. It's definitely turned into one of my favorites! Unfortunately, our timing coming onto the market wasn’t great and our window to negotiate with many interested buyers was small. But we stayed the course! Worth every penny for the new owners, my take away, keep the faith! Take a look at these images of the house before we incorporated our amazing fixes. Copy of You could barely see the house behind the old, moldy fence and hedges. Copy of Here is the living area without access to the back yard. Copy of The dining room was a good size so we took advantage and added some great features for an outdoor entrance. 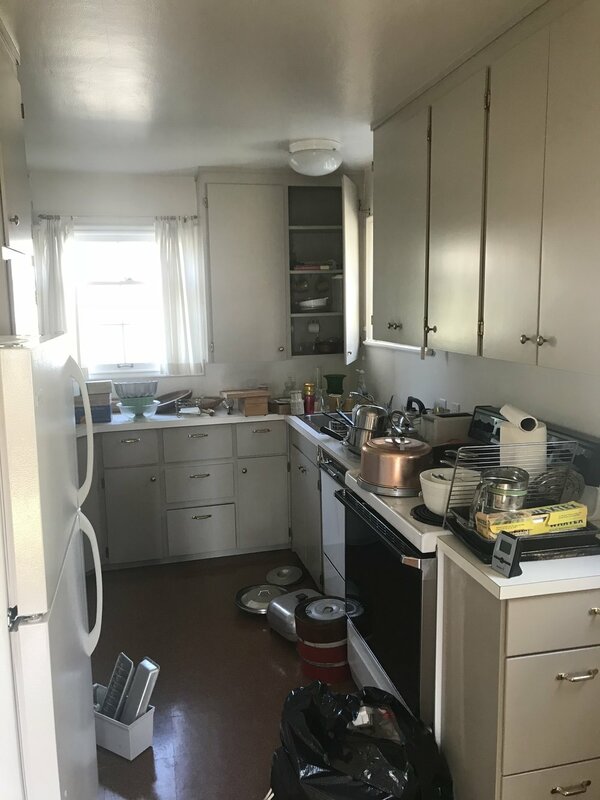 Copy of The outdated kitchen was small and dark with very little storage. Copy of We took out the nook and used that space for more counters and storage. Copy of This bedroom needed to be stripped down. 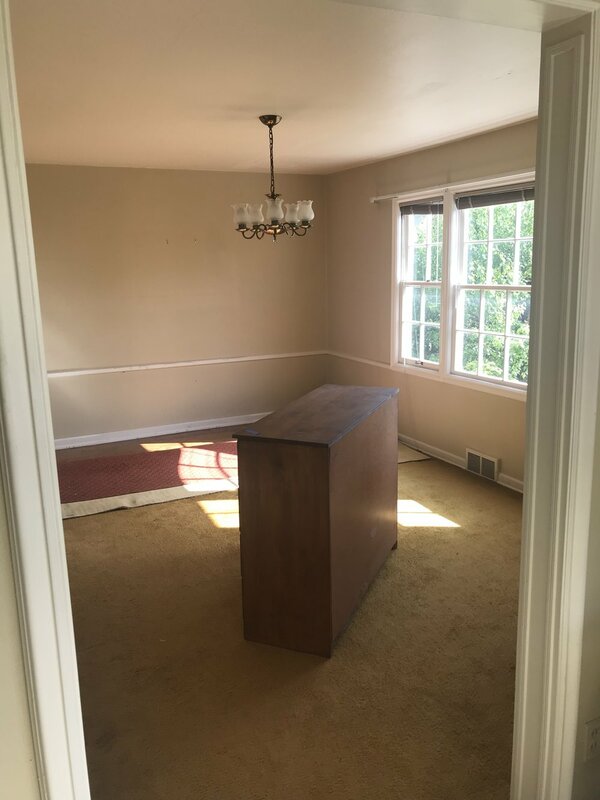 Copy of From bedroom to master bath. I could see the transformation in my mind. 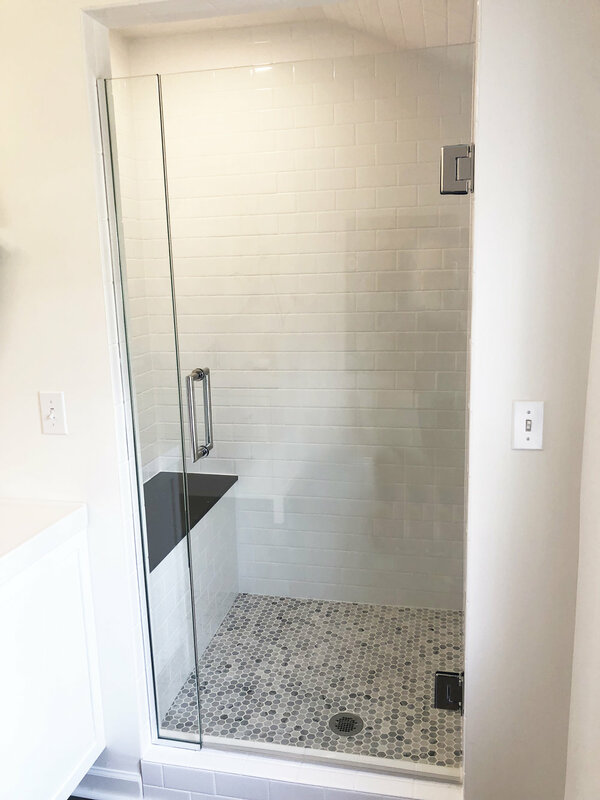 Here are my six favorite things I did on this project that made this home more beautiful and functional! One of the most useful aspects of any home is when it flows easily to the outdoors, even in our rainy city of Seattle! A big shortcoming of this home was no deck or access off the main floor to the back of the house. So, the first thing we did was created a large outdoor entertaining size deck with beautiful French doors from the living room and dining room. There’s even enough space to add a dining and lounging area. We made sure to add stairs to the yard below. French doors to the deck provide beautiful light in the living area. These doors are great for outdoor dining access. Everyone knows I absolutely love white! I’ll do anything to make using this fresh, versatile color interesting. Setting the kitchen backsplash tiles in a hexagon pattern was just the ticket. And adding open shelving made it clean, classic, and perfect! The backsplash is classic and clean. Open shelving for your favorite things. Adding a bathroom adds value to almost any home and getting creative is the key. This is always a good idea. For instance, in this home, I turned the closet into the coolest shower ever! From tiny room to ensuite! Can’t believe this used to be a closet! Remember that every room has five walls – definitely count the ceiling. A current trend is to incorporate interesting ceiling details. Take a peek at Pinterest. I am in the process of trying many of them in my home and on current projects. Because this homes ceilings felt low and limiting, we vaulted them to give each room more volume. It worked! They are so lovely and airy now. This bedroom feels twice the size with the addition of vaulted ceilings. The water views are even better with the added height. Can you imagine how tiny this must have felt before we expanded? I always recommend adding personality to your home through your finish choices. I prefer adding them in little areas, so they don’t overwhelm a room. Adding a small laundry room in the basement was the perfect way to add some pizazz. 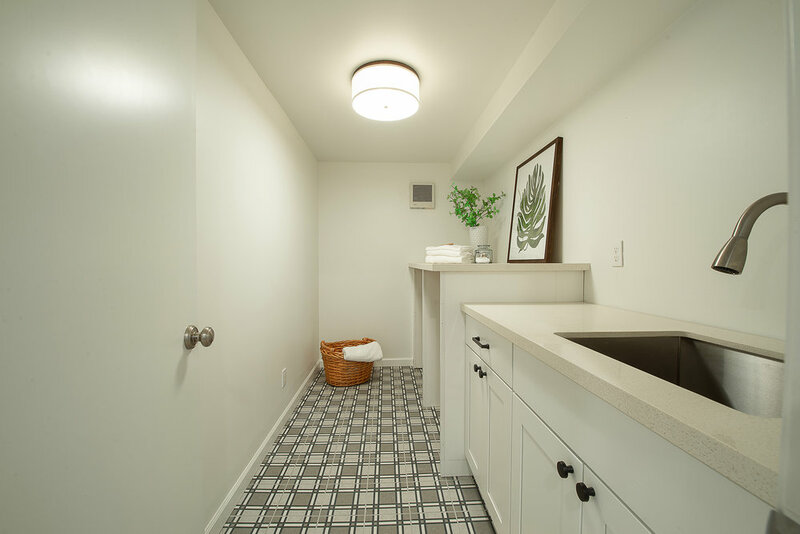 Although it may be small, it packs a big punch with its fun plaid cement floor tile! Personality abounds in this sweet little space. I’m in love with this unique tile! Curb appeal is always important to me! When flipping homes, once I’ve made sure the house has transitioned into a functional and pretty space, I always look into adding some decorative details that make it even better. This house sits on a lovely street in a wonderful neighborhood so, it deserved a beautiful front yard. I dreamed up this fence in an effort to make the front yard feel larger and more upscale. I think we hit a home run! You couldn’t even see the house before we added this adorable white fence. Happy to have another project done and happy to share more tips with you! So, there you have it! There are so many things that I love about this property but, maybe the fact that it is SOLD is a good place to end! My real estate agent and business partners never lost hope when we were on the market longer than we expected and together we made it all happen. Cheers to them and to everyone who made this project so great! Modern Tudor – we are coming for you next!